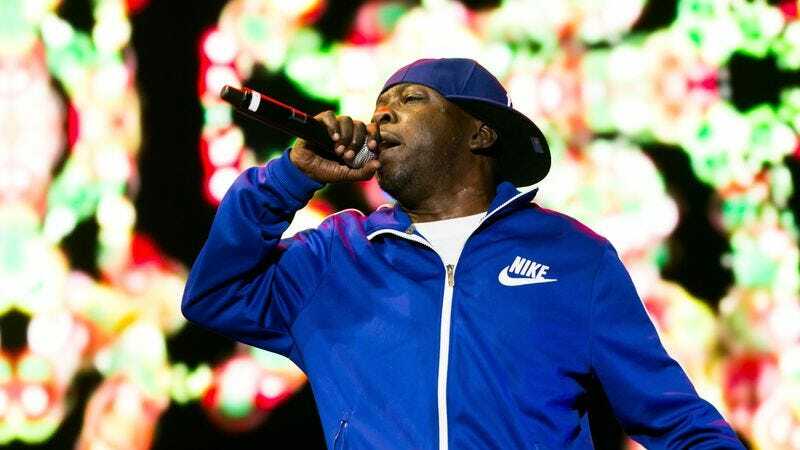 A Tribe Called Quest co-founder Malik Taylor—better known as Phife Dawg—died last week, and now a group of fans is honoring him by putting together a petition to rename a street in Queens “A Tribe Called Quest Boulevard.” The street in question is located between 192 Street and 193 Street, and it’s currently known as Linden Boulevard. This isn’t just a random selection, though, as Linden Boulevard is immortalized in a number of A Tribe Called Quest songs (“Check The Rhime” and “1nce Again,” to name a few). The petition is looking to get 5,000 signatures and currently has a little more than 3,500, so it’s getting pretty close. Once it reaches its goal, it’ll be passed on to New York City Council member I. Daneek Miller and Speaker Melissa Mark-Viverito, who will then decide whether the street should be officially renamed. Presumably, the biggest hurdle in all of this is that “A Tribe Called Quest Boulevard” probably won’t fit on a standard street sign. But that’s the government’s problem.